This is a discussion post about YA adaptations, their success and failures and how to fix them so that we could actually get excited about our favorite books being adapted for the big screen. This is something I was thinking about for quite sometime now ever since the fact that Allegiant part 2 is going to be a Made-for-TV movie. While I wasn’t a huge fan of Allegiant both the book and the movie, it would have been nice to at least see it finish on the big screen. Also with the recent failings of The 5th Wave. While I didn’t read the book I did however watch the movie. I thought it was okay, it did seem a bit generic but I still enjoyed the movie, the movie however bombed and the sequels were most likely canceled. There maybe a glimmer of hope with Ready Player One, set to come out in 2018 and it has Steven Spielberg directing. If that movie turns out really well and I hope it does it could put us back to having good YA adaptations. Stop splitting the final movie in two. Ever since the final Harry Potter movie came out; Harry Potter and the Deathly Hallows were split in two, having part one released in November and part 2 in July. This of course led to the series making more money. Other series began following this with Breaking Dawn, Mockingjay and Allegiant, splitting the final movie into two parts. Harry Potter, kinda had a reason being that the book was so big that it couldn’t fit everything into one movie. I still enjoyed the both movies, but I felt the need to watch the movies back to back to fully enjoy the movies. By splitting the movie into two parts it feels that the movie is a little disjointed. In one movie you have all build up and no payoff and the next movie is all payoff but no build up. You have to see the movies back-to-back. The problem is waiting a year to see the next half of the movie. As a lover of film trilogies; Back to the Future, Star Wars original trilogy and Lord of the Rings, part of me would be a little peeved if I had to see a Return of the King part 1 and 2 instead of seeing Return of the King as an epic finally to a trilogy. The fact that Allegiant part 1 didn’t perform well in the box office and now part 2 being shown on TV, is an example of splitting the final book going horribly wrong. I just hope that in the future adaptations stop trying to split the final book into two movies. I know making an adaptation is very hard, unlike books where the length can be however long you want it, movies usually need at least a 2 hr run-time, so most likely a lot of stuff will be cut for time. It’s not just the changes but it’s the bad changes that ruin the adaptation. An example I could give is when Eragon first came out, I didn’t read the book but a few friends of mine did. After the movie, while I thought the movie was very generic, my friends hated it. They basically said they made way to many changes that it would make adapting the next book impossible. You say this a lot with Percy Jackson as well. Cutting characters and main plot details just ruined the movie in its entirety. While a lot of the adaptations that I did really like such as; Harry Potter and the Hunger Games also made several changes to the movie, but some were small or cut because the book was already very big i.e Goblet of Fire. When those movies made changes it didn’t take out what made the book great in the first place and didn’t piss off the fans of the book. A possible solution is to have the writing at least have a say in working on the adaptation. The author can task the writers with what to cut and what the keep and make sure that the adaptation is run smoothly. A good example is Gone Girl by Gillian Flynn. She actually wrote the adaptation of the movie and while changes were made it still was a good movie regardless. Even JK Rowling had a say in the adaptation of the Harry Potter series. This is a term in which when a specific genre within the YA books are adapted than there is several movies also in that genre also being adapted. An example started back when Harry Potter and Lord of the Rings had their movies. Both of those franchises made money so other studios wanted to adapt other fantasy novels as well. We ended up with Eragon, Spiderwick Chronicles, Narnia and so much others that ended up failing. 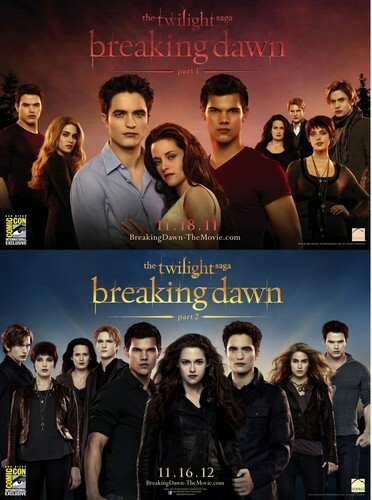 When Twilight came out the focus was vampires and the supernatural. 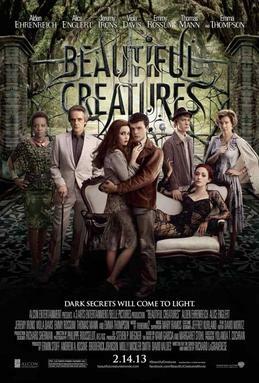 We ended up with Vampire Academy, The Mortal Instruments, Cirque du Freak and Beautiful creatures which all also bombed. The same thing happened with Hunger Games and dystopian novels being adapted like Maze Runner and Divergent. While both did well in the beginning they did seem to dip in profits and quality as well. In the opinion, the reason why we loved The Hunger Games movies was because it wasn’t another Twilight, or it didn’t deal with anything supernatural, it was different and that’s why people came in droves to see the Hunger Games. Maybe try adapting into television. When the Song of Ice and Fire books were first published, there was talk about it being a movie for years before the idea of a TV series was going to happen. A TV show was best thing that could of happened. While changes were made to the story , it did keep with the spirit of the books. The show is of course a huge hit and even yesterday winning Outstanding Drama Series for the second year in a row at the Emmys. Other books are also making the movie into television. 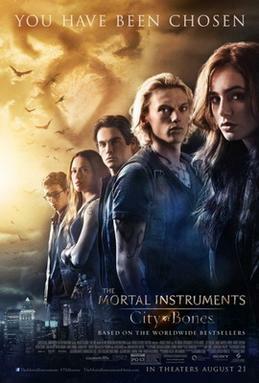 After the Mortal Instruments movie failed at the box office canceling any hope for a sequel, the book was adapted into a TV show called Shadow hunters which is a hit on Freeform. The same is said about the 100 on the CW, most people who hated the book love the TV show because it can expand the world of the book without the 2 hr run time that a movie will most likely ruin. The news of Sarah J Maas series, Throne of Glass being a TV series is actually much better than making a movie. With a series, characters can be expanded and TV show could do a better job with world building than a movie can. Those are my opinions on YA adapations and how to fix them. How do you think YA adaptations can be better? Let me know in the comments below. Yesterday, if you may not have heard it was announced that Disney/Lucasfilm is planning on having another Indiana Jones film with Harrison Ford starring and Steven Spielberg directing. For my own history of Indiana Jones, I am a fan of the movies mainly, Raiders of the Lost Arc and Temple of Doom, I even kinda like Kingdom of the Crystal Skull (i know, i know).So of course, this news excited me because I would love to see more Indiana Jones movies, since Disney is doing a good job with the Star Wars franchise, it only makes sense to bring back Indiana Jones. My only reservation is that Harrison Ford, as great of an actor he is, is not getting any younger, so so I don’t know if he will play Indiana Jones full time or try to pass the torch (or hat and whip) to someone else. What I would like to see is Indiana Jones reunited with Short Round (now possibly played by Steven Yeun from The Walking Dead), and have them team up and maybe hopefully if it all goes well he gets to lead the franchise. But that’s just my opinion. I hope this new film will at least get the public more confident in the Indiana Jones franchise and have it become resurrected like the Star Wars franchise.